Police in South Africa have conducted what they say is the world's first raid on a PlayStation 3 jailbreaking operation. 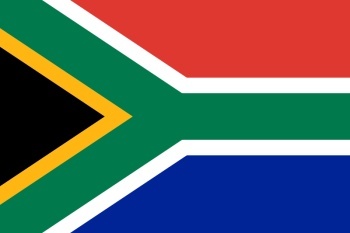 Following a complaint from the South African Federation Against Copyright Theft, the Commercial Crime Unit of the South African Police Service conducted the world's first PlayStation 3 anti-jailbreaking raid. "Jailbreaking," as noted by eGamer, is the act of bypassing security measures on game consoles and other hardware, typically in order to facilitate the playing of pirated videogames. The police seized "various state-of-the-art computers, circumvention software packages, jailbreak USB devices, PS3 consoles and hard drives," according to a press release, with a total value of roughly R100,000 [$14,000]. Also found were counterfeit PlayStation 2 games and original PS3 titles which were apparently being used to generate counterfeit copies. Despite the SWAT-sounding nature of the raid and the big haul of hardware and software, only one person was actually arrested. "One suspect, a foreign national, has been arrested and he will remain in custody until he appears in court at the Specialised Commercial Crimes Court in the next couple of days," said Jacques Botha, the CCU's director of finance and special operations. "It is the first PS3 circumvention arrest in the world." I'm not sure if that's actually true, or how a raid on a jailbreaking operation differs from one on a counterfeiting/piracy scheme, but even if it's not the first in the world it will, according to Botha, be the first of many such raids that will be carried out across the country.